We are a wood turning company in business since 1919. 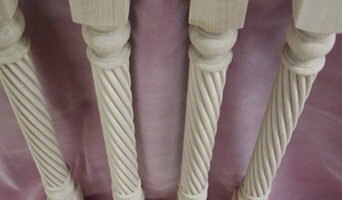 We supply wooden parts for porches, staircases and decks - spindles, columns, railings and more. MISSION: Authentic movement of iron under the power hammer and expressive connections--this is what interests the Iceforge in all of our commissioned works, from furniture to architectural elements. The Iceforge specializes in contemporary forge and fabrication work, where every projec--from railings and gates, furniture to sculpture commissions, custom jewelry and hardware--is an opportunity to execute designs with the highest level of craftsmanship . We are committed working with clients throughout the design and building processes. It is important for us to produce works that both the client and our company will be proud of. BACKGROUND: The Iceforge opened as Fine Architectural Metalsmiths in a small stone barn on the wood's edge of downstate New York in 1982. Within a few short years we had commissions in the Federal Reserve Bank in New York City, among others, and our work was winning awards from our peers. In 1993 Fine Architectural Metalsmiths moved to the 1890’s Borden’s Creamery Icehouse in Florida, NY. The old icehouse, which had been buried behind a thicket of sumac and poison ivy, was renovated into a forging, fabrication and showroom space. Over the years we began affectionately calling the historic ice barn the Iceforge. Please take a moment to look through our archive site by clicking on the phot DESIGN PROCESS: As custom metalsmiths, we work with clients throughout the design and building process. Whether you come to us with a loose concept or completed blueprint, any visual information, from photos of the site to quick concept sketches or blueprints that you can supply is useful to the design process. When possible we evaluate the field conditions with a site visit. Working from our conversations with you and our knowledge of design possibilities, we develop the project from conceptual sketches to drawings for your approval. When you come to us with a project or design idea, we work from your concepts and our knowledge of design possibilities to develop your project from conceptual sketches to the completed work. 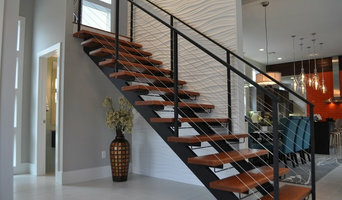 Tribute Designs creates beautiful, handmade stair riser panels for your unique home. Visit the shop today to see the possibilities! B&E Iron Works has the experience, equipment and warm customer service you want when hiring a skilled iron and steel fabrication company. Since we opened our doors in 1996, we have provided people from Westchester, NY all the way to the outskirts of Stamford, CT with reliable and detailed workmanship. Let us help you next! MetalCraft specializes in fabrication and manufacture of custom metal and wood architectural and industrial products for commercial, residential and industrial customers. MetalCraft maintains a complete metal processing and fabrication shop including everything from sawing and cutting to forming and a variety of welding and joining processes. Also a full machine shop with CNC capabilities in both milling and turning. Though the name may not suggest it, we also have a complete wood-shop that allows us to turn rough-sawn lumber into anything our projects require. The variety of material we work with along with our vast capabilities make us a one-stop shop. Stunning, beautiful art for stairs, RISERart! 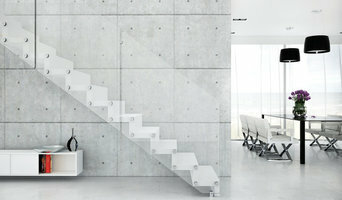 transforms any space with these creations, specifically designed for stair risers. Each riser design consists of a set of adhesive backed vinyl panels with a trimming knife. RISERart! is easy to install, extremely durable, and removable without leaving any residue or damage to your stairway. RISERart! is made in the USA with environmentally friendly inks. We strive to provide the best customer services and provide a money back guarantee if you are not satisfied with our product.